What is the charm of the serious illness mutual aid program that Suning’s “Ning Mubao” giants are rushing to eat? Recently, it was reported that Suning Financial Technology began the internal testing network mutual aid program "Ning Mubao", 0 yuan can join, up to 300,000 yuan of anti-cancer mutual aid and up to 100,000 yuan of death mutual help. However, Suning’s financial side told the International Finance News that it is currently only in the small-scale internal testing stage, and it has not been confirmed on the line, so there is no more information. If Suning Financial's online mutual help plan products, it will become the fourth giant to participate in the mutual aid program after the "mutual treasure" of Ant Financial, the "Jingdong mutual insurance" of Jingdong Mall and the "drip mutual" of Didi. The mutual aid programs that the giants are competing for have indeed exceeded the expectations of many people in terms of development speed and become the “absolute explosion” of Internet financial products. On April 10, Alipay's major illness mutual aid program “mutual treasure”, with more than 50 million members on the line, became the world's largest mutual aid community, with an average of nearly 200 people joining every one minute. The size of 50 million members is equivalent to the population of South Korea. In the world, only 27 countries have a population exceeding this figure. The speed of mutual treasures from 0 to 50 million, even surpassed the balance treasure that was born in 2013. “Mutual Treasure” is a mutual aid service on Alipay. It is positioned as an Internet-based mutual aid program: Alipay members with 650 points or more of sesame seeds do not need to pay when they join. After joining, in case of major illness, you can enjoy a major mutual benefit of up to 300,000 or 100,000, and the expenses will be shared by all members. Guo Jinlong, director of the Research Center for Insurance and Economic Development of the Chinese Academy of Social Sciences, believes that mutual treasure has become the fastest-growing supplementary medical security in the world, reflecting the core value of “risk sharing, mutual aid and mutual aid”, and improving China's multi-level medical security. The system has a positive effect. The data shows that 31% of Mutual's 50 million members are from rural and county towns, and 47% are migrant workers. Half of the 24 members who have received the bailout are from low-tier cities and rural areas, mostly children and migrant workers, the youngest being only 2 years old. However, there is still a story about the mutual treasure of tens of millions. On October 16, 2018, Xinmei Life Insurance and Ant Insurance introduced “mutually protected” products to Alipay users. In just 10 days, users of “mutual security” will exceed 10 million. Subsequently, after the appointment, Xinmei Life Insurance withdrew from the “mutual insurance” plan, and “mutual insurance” was transformed from insurance products into “Great Disease Network Mutual Assistance Program”. Just one month after the “mutual security” was launched, on November 13, 2018, Jingdong Finance and a mutual insurance agency jointly launched an insurance product that is highly similar to each other – “Jingdong Mutual Protection”. 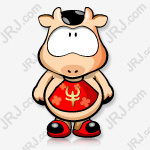 However, Jingdong Mutual Insurance has only one day of internal testing. On November 14, 2018, some netizens found that the Jingdong Financial-Insurance section could not find the “Jingdong Mutual Insurance” insurance entry. According to Jingdong, Jingdong Mutual Insurance is only a grayscale online test on November 13, 2018. The user experience will be upgraded in the future. After all the improvements are completed, the official membership policy will continue to be valid. However, as of now, Jingdong Mutual Insurance has not yet been online.